Our designers have been hard at work all year and all their efforts have brought us to this moment! The Prototypes have been approved, the photoshoots are completed, the shipments of new products have arrived and finally… finally we can reveal all the new wedding accessories that have been kept under wraps for so long! Over the next few weeks we will be featuring our favorites of the new products, but in the meantime you can find all our new wedding accessories on our website. 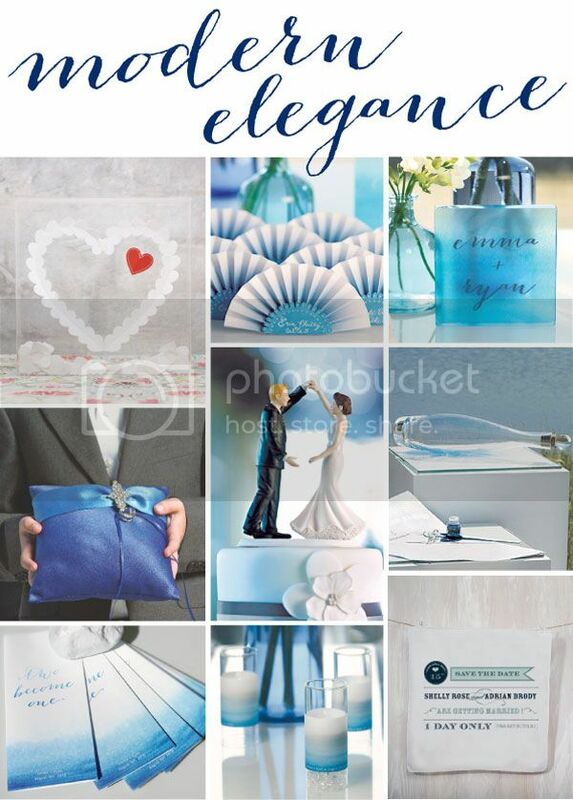 If you want to see what’s new, and nothing else, go to our ‘New Wedding Accessories‘ category! 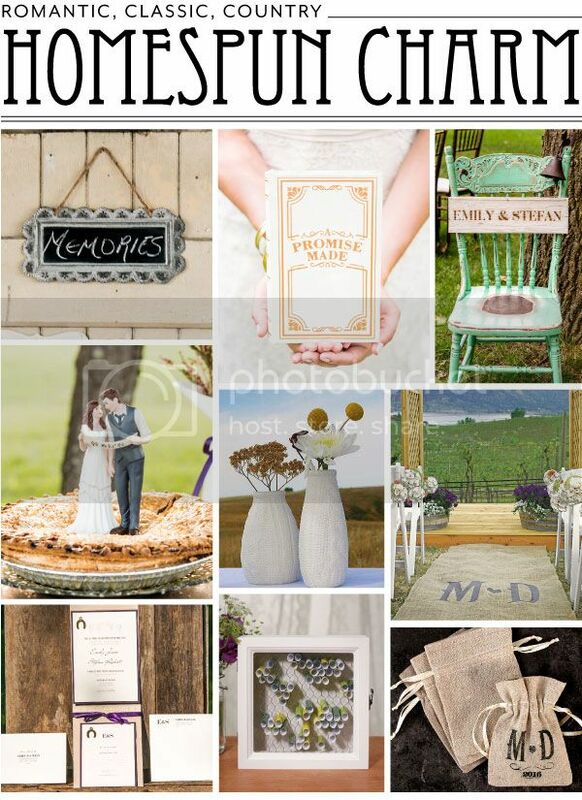 We have recognized the desire for the vintage and rustic wedding styles and we are thrilled to reveal that we have added to the homespun wedding accessories that we offer! Shown above (left to right) is the Large Scalloped Frame Tin Sign with Chalkboard, “A Promise Made” Vintage Inspired Jewelry Book Box, Vintage Inspired Wooden Multi-Purpose Sign Boards, “Indie Style” Wedding Couple Figurine, Mini Faux Knit Porcelain Vases, Personalized Burlap Aisle Runner, Horse Shoe Charm & Equestrian Love Stationery, Country Charm Wooden Wish Box and the Mini Linen Drawstring Pouch. If you’re more interested in a modern look, never fear, we have a plethora of new accessories that fit that style as well! This bold look features many of the products from our new ‘Aqueous‘ line. Shown above (left to right) is the “From The Heart” Transparent Acrylic Shadow Box, Paper Fan Place Card, Aqueous Personalized Clear Acrylic Block Cake Topper, The Crystal – Color Personality Ring Pillow, Dancing the Night Away Wedding Couple Figurine, Message in a Bottle Time Capsule Guest Book, Aqueous Wedding Program, Aqueous Mini Luminary Wrap and Play Bill Save The Date Personalized Handkerchief. 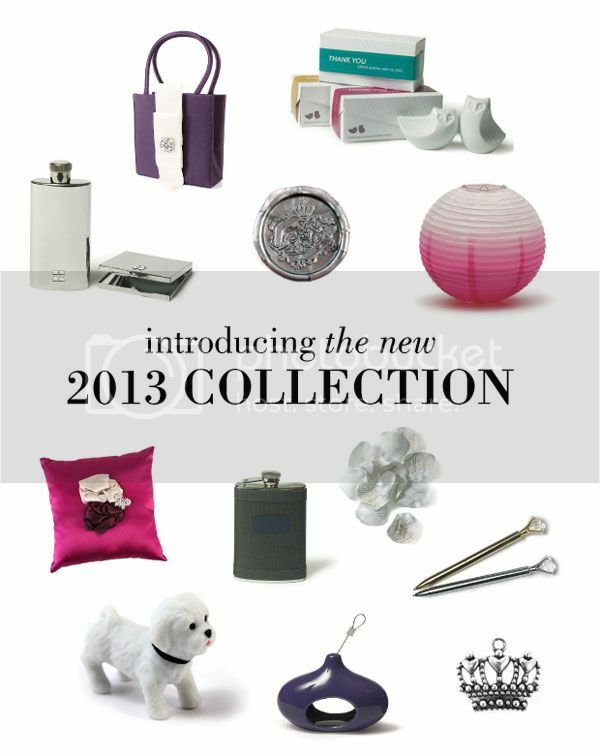 For a closer look at all the new products visit our Website or browse through the pages of our all-new 2013 Magazine! But wait! Don’t go yet! That’s not all that we have for you today. The Lookbooks that we announced a few weeks ago are finally available for your viewing pleasure. 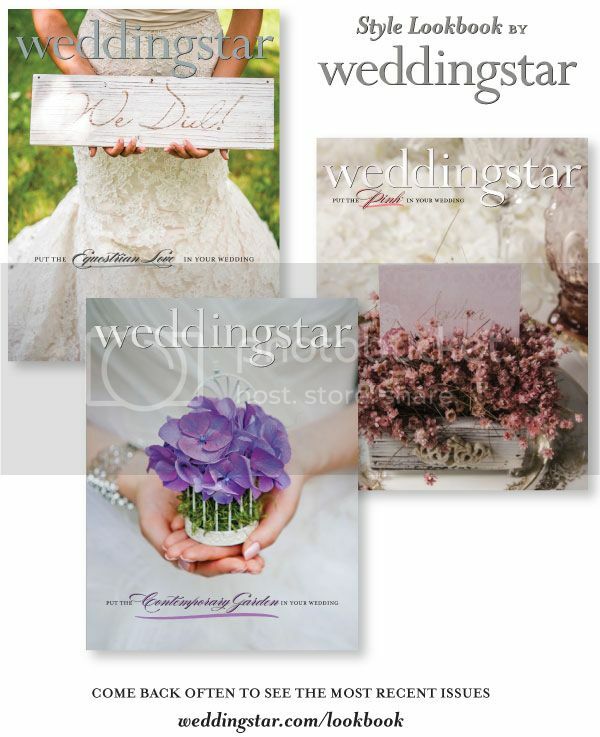 These inspirational tools will be found exclusively on the Weddingstar website, beginning with the Contemporary Garden Lookbook. Coming soon we are pleased to feature Pink Color Story, Equestrian Love and Blue Color Story. Be sure to check back as they are released! Thanks for taking the time to take a peak at what we are offering – we always love to hear feedback about our new products so feel free to share your ideas and your opinions! See you Friday for another real-wedding feature!